Zing Ear WLD-07 Type R3L fan light wattage limiter is used to limit the wattage on ceiling fan light kit to a 180-Watt max. for all sockets types by resisting the current of an electrical circuit. 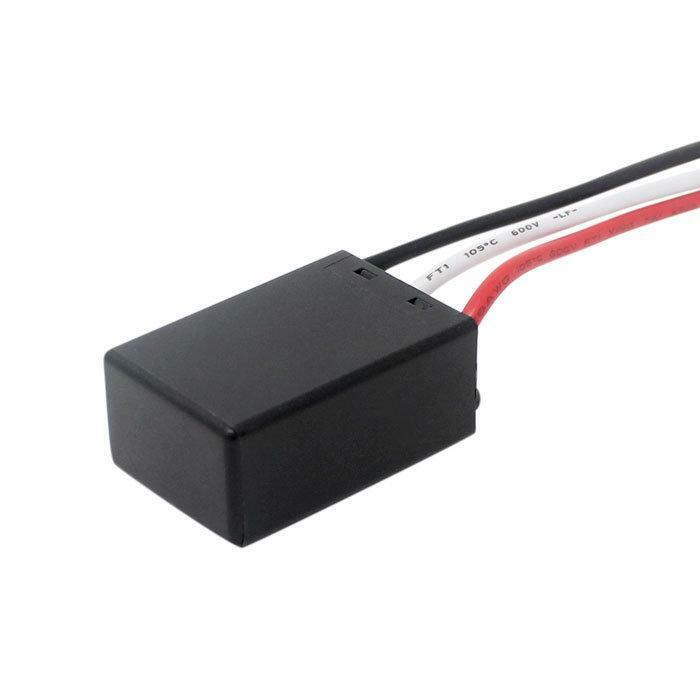 This fan light wattage limiter is UL approved therefore it is safe to be integrated into any compatible ceiling fan such as Hunter, Harbor Breeze, Hampton Bay, Westinghouse, etc. 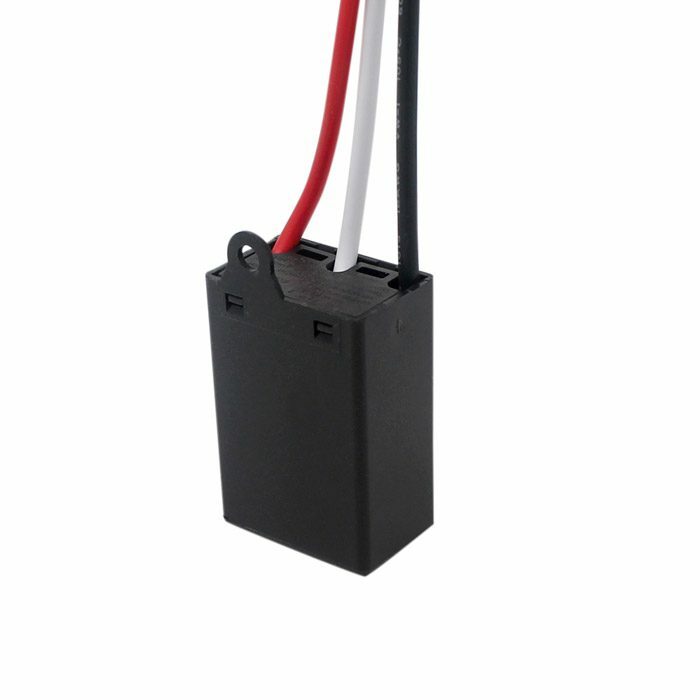 Zing Ear WLD-07 Type R3L fan light wattage limiter is used to limit the wattage on ceiling fan light kit to 180W max. for all sockets types by resisting the current of an electrical circuit. When ceiling fan light kit (load) is consuming less than or equal to 180 Watts, the wattage limiter will not operate; however, if the load exceeds 190 Watts, Zing Ear LD-07 Type R3L load protector will switch off power to light kit for a moment. 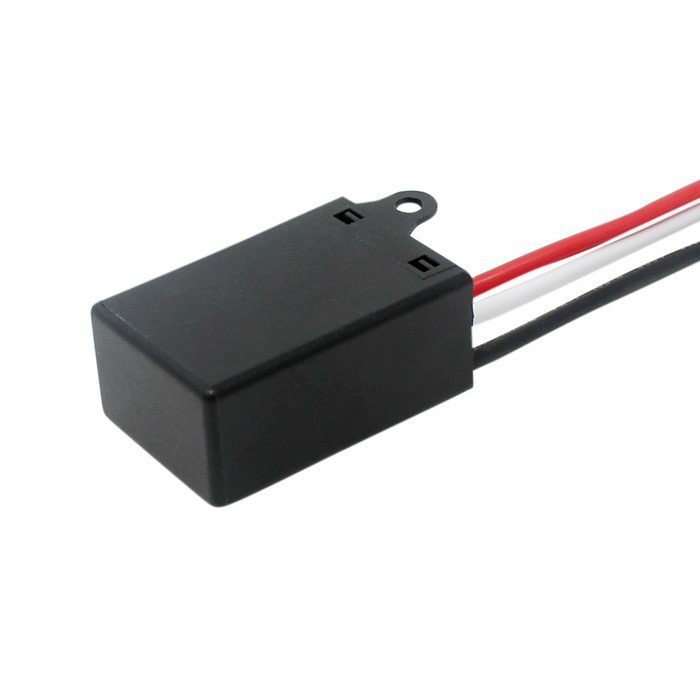 This fan light wattage limiter is UL approved therefore it is safe to be integrated in any ceiling fan in United States and Canada. 6″ leads, 47mm x 23mm x 17mm plastic housing.